Eating out and binging on fast food is a common problem, which may upset bowel movements. Keep your digestive system calm by consuming a bit of fennel seeds, ginger, yogurt and papaya, say experts. * Yogurt: Though most dairy products are difficult to digest, a serving of plain yogurt can have quite the opposite effect. Yogurt contains probiotics that help in increasing the number of good bacteria in the gut for a healthy stomach, aiding in digestion and reducing the uncomfortable feeling of being bloated. *Oat bran: It’s a significant source of both soluble and insoluble fibre. Bran, the nutrient-rich husk is removed from polished and refined grains such as white flour, depleting much of the fibre, minerals, and vitamins that are essential for healthy digestive function. Oat bran contains soluble fibre that absorbs water to become a gel-like substance in the digestive tract. *Papaya: It is one of the fruits popular for curing upset stomach and diarrhoea. 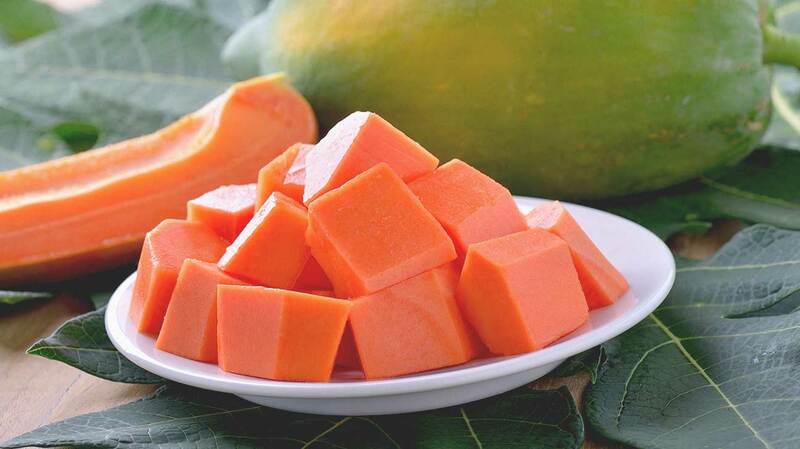 Eating papaya encourages digestion, eases indigestion and helps with constipation. The magic is in the enzymes papain, a natural digestive enzyme that breaks up foods irritating the stomach and chymopapain, which help break down proteins and soothes the stomach by promoting a healthy acidic environment.